These "Simple Tasks" are a series of kill tasks that take place in current hotzones (see this wiki article for a list). 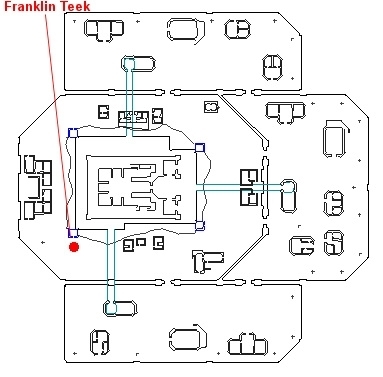 This task begins with Franklin Teek (map) in the Plane of Knowledge. He is located east of the entrance to the Guild Lobby. A window pops up with a list of "Simple Tasks" that range from 15 levels below to 10 levels above your character level. Complete the task that Franklin gave you. You'll be asked to kill five of a certain type of mob in the given hotzone. Kill targets will vary by the day. The zone involved will always be the current hotzone for this level. I couldn't request this at 40. Upon completing the Level 45 simple task yesterday, I was given a choice among several pieces of armor (all level 45 required). Got the money and XP too.